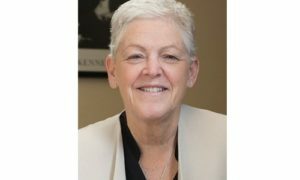 On Tuesday, October 23, former United States Environmental Protection Agency (EPA) head Gina McCarthy will be speaking at Boston College’s Yawkey Center. As part of Boston College’s Winston Center Speaker Series, McCarthy will be discussing “U.S. Environmental Policy: What Has Been Lost, What Can Be Gained”. This event is free and no registration is necessary. It is open to all BCEEAN alumni, as well as all members of the BC community and the general public. Click here for more information. Gina McCarthy served as the head of the Environmental Protection Agency under President Obama, leading historic progress to achieve the administration’s public health and environmental protection goals and Climate Action Plan. In 2015, McCarthy signed the Clean Power Plan, which set the first-ever national standards for reducing carbon emissions from existing power plants, underscoring the country’s commitment to domestic climate action and spurring international efforts that helped secure the Paris Climate Agreement. During her tenure, EPA initiatives cut air pollution, protected water resources, reduced greenhouse gases, and strengthened chemical safety to better protect more Americans, especially the most vulnerable, from negative health impacts. Internationally, McCarthy worked with the UN and WHO on a variety of efforts and represented the U.S. on global initiatives to reduce high-risk sources of pollution. McCarthy now serves as Professor of the Practice of Public Health in the Department of Environmental Health at Harvard’s T.H. Chan School of Public Health and is Director of Harvard Chan’s Center for Health and the Global Environment. For more information, please visit The Winston Center for Leadership and Ethics website.